Nabil M Taha, Mahdy S. Korshom, abd El-Wahab M Mandour, Mohamed A Lebdah, Eman S aladham. This study was carried on 40 male albino rats to evaluate the toxic effects of lead on minerals and immunological factors. The rats were divided into four equal groups. Group I kept as control group, group II was fed 1.0% turmeric powder for 11week, group III was injected (i.p) with 8 mg/kg b.wt lead acetate trihydrate, (from 3rd to11th week), given 4 days a week, rats in group IV were fed turmeric 1% before and along with lead at the same previous dose. Blood samples were collected for biochemical analysis at the end of experiment. The results revealed that a significant increase in serum Ca, Ph, Cu, Fe, uric acid and creatinine levels following lead toxicity. Meanwhile, serum Zn and IgG levels and AST enzymatic activities were significantly decreased. On the other hand, serum IgM and ALT levels were nonsignificantly decreased in lead group. Combined treatment of lead exposed animals with turmeric powder had improved immunity without any protective effect against lead toxicity on mineral and kidney functions. The results indicate that administration of lead acetate caused alterations in minerals, immunological factors, liver and kidney functions and turmeric powder fails to normalize these factors. Key words: lead acetate, mineral, immunity, turmeric. Abd EL Rahiem , A. ASHOUR., Maged, M. Yassin., Nahed, M .ABU AASI., Rokaya, M. ALI. 2007. Blood, Serum Glucose and Renal Parameters in Lead-Loaded Albino Rats and Treatment with Some Chelating Agents and Natural Oils. Turk. J. Biol., 31(25): 25-34. Abdel-Razik, H., Farrag, A., Mahdy, K., Gamal, H., Rahman, A .,et al., 2007. Protective Effect of Nigella sativa Seeds Against Lead-induced Hepatorenal Damage in Male Rats. P. J. Biol. Sci. 10(17):2809-2816. Abe, A., Yamashita,S., Noma, A. 1989. Clin. Chem.,35:552-554. Al-Wabel, NA., Mousa, HM., Omer, OH., and Abdel-Salam, AM. 2007. Biological evaluation of synbiotic fermented milk against lead acetate contamination in rats, Journal of Food, Agriculture& Environment 5 : 1 6 9 - 1 7 2 . Bafundo, K.W., Baker,D.H., and Fitzgerald, P.R.1984. Lead toxicity in the chick as affected by excess copper and zinc and by Eimeria acervulina infection. Poult. Sci; 63 (8): 1594 &#8211; 603. Bajer-Bitterlich,G., Fuch, D., Wachter,H. 1997. Chronic immune stimulation, oxidative stress, and apoptosis in HIV infection. Biochem.Pharmacol.53:755&#8211;763. Cameron,J.S., Greger, R.,1998. Renal function and testing of function. (Davidson AM, Cameron JS, Grunfeld JP, Kerr DNS, Rits E, Winearl GC eds.) Oxford Textbook of Clinical Nephrology pp.36-39. Choice,D.D., and Richter, G.W. 1972. Cell proliferation in rat kidney induced by lead acetate and effects of uninephrectomy on the proliferation. Amer J. Pathol., 66, 265-75. Cornelis, R.2005. Handbook of elemental speciation II: species in the environment, food, medicine & occupational health. Wiley. Dairam, A., Limson, J.L., Watkins, G.M., Antunes, E., and Daya, S.2007. Curcuminoids, curcumin and demethoxycurcumin reduce lead-induced memory deficits in male Wistar rats. J. Agic. FoodChem.,55(3):1039&#8211;1044. Daniel,S., Limpson, J.L., Dairam, A., Watkin, G.M., and Daya, S. 2004 .Through metal binding, curcumin protects against lead and cadmium-induced lipid peroxidation in rat brain homo-genates and against lead-induced tissue damage in rat brain. J. Inorg. Chem.;98:266&#8211;75. Desouky, H.M., El-Sheshtawy, R.I., Hanafi ,E.M., Shalaby, S.I., and Ahmed, W.M.2001. GnRH response in lead exposed baladi bucks with emphasis on seminal, blood and testicular alterations. Journal of Egyptian Veterinary MedicalAssociation,61:127-142. Dioka, C.E., Orisakwe, O.E., Adeniyi, F.A., Meludu, S.C.2004. Liver and renal function tests in artisans occupationally exposed to lead in mechanic village in Nnewi, Nigeria. Int J Environ ResPublicHealth1:21&#8211;25. Eybl, V., Kotyzova, D., and Koutensky, J.,2006.Comparative study of natural antioxidants &#8211; curcumin, resveratrol and melatonin &#8211; in cadmium-induced oxidative damage in mice. Toxicology,225:150&#8211;156. Gallhom, K.I., Saad, A.H., Ranmi, N.A., and Abd EL- Hakeem, E. 2000. Heavy metal residues in milk, drinking water and tissues and its impaction on animal health." Egyptian Journal of Comparative Pathology and Clinical Pathology, 13(2):198-215. Guidotti,T.L.,McNamara,J'.,Moses,M.S.,2008.The interpretation of trace element analysis in body fluids. Indian J Med Res.;128:524&#8211;532. Goldenberge, H., and Ferrnandez, A.1966.Simplified method for the estimation of in organic phosphorous in body fluids .Clin.Chem.12:871-882. Hamilton, J.D., and O, Flaherty, E.J. (1995).Influence of lead on mineralization during bone growth. Fund. Appl. Toxicol. 26: 265-271. Hecht,F.2006. Creatinine Blood Test. http://www.medicinenet. com/sript/main/p#1. Henry, J.B.1984: Clinical diagnosis and management, 17th edition, Sauder publisher. Cited in Bio systems Pamphlet. Ishita,Chattopadhyay.,Kaushik,Biswas.,Uday, Bandyopadhyay., and Ranajit, K. Banerjee.2004. Turmeric and curcumin: biological actions and medicinal applications Current Science Vol.87 .No.1. Johnsen,O., and Eliasson, R.1987. Evaluation of a commercially available kit or the colorimetric determination of zinc. International Journal of Andrology,(2):435-440. June, H.C.,Juanita,W.2004. Manual of laboratory tests.p.150. Karimi, I., Nasr, J., Zanganeh, J.2012. Protective effects of an alfalfa aqueous extract on lead toxicity in broiler chickens: a biochemical approach. Comparative Clinical Pathology. 1540-4. Kasperczyk, A., Prokopowicz, A., Dobrakowski, M., Pawlas, N.,Kasperczyk,S.2012. The effect of Occupational Lead Exposure on Blood Levels of Zinc,Iron, Copper, Selenium and Related Proteins.Biol.TraceElem.Res.150:49&#8211;55. Kasperczyk,S.,Birkner,E.,Kasperczyk,A.,Zalejska-Fiolka,J. 2004. Activity of superoxide dismutase and catalase in people protractedly exposed to lead compounds. Ann .Agric. Environ .Med.11:291&#8211;296. Kasperczyk, S., Birkner,E., Kasperczyk,A., Kasperczyk,J. 2005. Lipids, lipid peroxidation and 7-ketocholesterol in workers exposed to lead. Hum Exp Toxicol 24:287&#8211;295. Khalil-Manesh F; Gonick HC; Cohen A; Bergamaschi E; Mutti A (1992). Experimental model of lead nephropathy. Environ. Res. 58(1):35-54. Khan,M.S.H., Mostofa, M., Jahan,M.S., Sayed,M.A.,and Hossain, M.A. 2008. Effect of garlic and vitamin b-complex in lead acetate induced toxicities in mice 6(3): Bangl.J. Vet. Med., 203-210. Klassan,C.D.,1991. Heavy metals and heavy metal antagonists. In: Goodman and Gilman&#8217;s. The pharmacological Basis of Therapeutics, 8th Ed. Pergmon Press, New York, pp: 1592-1614. Klauder,D.S., and Petering, H.G.1977. Anaemia of lead intoxication: a role for copper. J. Nutr.107,1779&#8211;1785. Kwatra,M.S., Gill, B.S., Singh, R., and Singh, M. 1986. Lead toxicosis in buffaloes and cattle in Punjab. Indian J. Anim. Sci. 56: 412&#8211;413. Levander, O.A.1979. Lead toxicity and nutritional deficiencies. Environ. Hlth. Presp. ; 29: 115&#8211;125. Luster,M.I.,Faith,R.E.,Kimmel,C.A.1978. Depression of humoral immunity in rats following chronic developmental lead exposure. J. Environ. Pathol toxicol. 1(4):397-402 . Manjunatha, H., and Srinivasan, K.2006. Protective effect of dietary curcumin and capsaicin on induced oxidation of low-density lipoprotein, iron-induced hepatotoxicity and carrageenan-induced inflammation in experimental rats. FEBS, 273(19): 4528&#8211;4537. Michael Krier,M.D.,Aijaz Ahmed,M.D.2009. The A symptomatic Outpatient with abnormal liver function tests. Clin Liver.Dis.13:167&#8211;177. Missoun, F., Slimani, M., and Aoues, A.2010. Toxic effect of lead on kidney function in rat wistar. African Journal of BiochemistryResearch,4(2):21-27. Morawiec, M. 1991. Effects of harmful trace elements on iron zinc and copper: their interactions in animals and human. Rocz. Pa-stw.ZakI.Hig.":42(2):121-6. Nabil, M. Ibrahim., Esam, A. Eweis., Hossams, El-Beltagi., and Yasmin, E. Abdel &#8211; Mobdy.2012. Effect of lead acetate toxicity on experimental male albino rate. Asian Pacific Journal of Tropical Biomedicine;41-46. Nair, J., Strand, S., Frank, N., Knauft , J., Wesch, H.,Galle ,P.R.,and Bartsch,H.2005. Apoptosis and age-dependant induction of nuclear and mitrochondrial etheno-DNA adducts in Long&#8211;Evans Cinnamon (LEC) rat enhanced DNA damage by dietary curcumin upon copper accumulation. Carcinogenesis, 26(7): 1307&#8211;1315. Narayanan,S.Method &#8211;comparison studies on immunoglobulins.Clin Chem 1982; 28:1528-1531. Othman, A.I., Al Sharawy, S., and El-Missiry, M.A.2004. Role of melatonin in ameliorating lead induced haematotoxicity. Pharmacol. Res. 50: 301&#8211;307. Overu, S.S., Berepubo, N.A., Nodu,M.B.2004. Biochemical blood parameters in semi-adult rabbits experimentally fed crude oil contaminated diets. Afr. J. Biotechnol. 3(6): 343-45. Padmaja, S., and Raju, T.N.2004. Antioxidant effect of curcumin in selenium induced cataract of Wistar rats. Ind. J. Exp. Biol.,42(6):601&#8211;603. Papainnou, R., Sohler, A., and Pfeiffer, C.C.1978. Reduction of blood lead levels in battery workers by zinc and vitamin. C. J. Orthmin.Psychiatr.,7,94-106. Phan,T.T., See, P., Lee, S.T., and Chan,S.Y.2001. Protective effects of curcumin against oxidative damage on skin cells in vitro: its implication for wound healing. J. Trauma, 51: 927&#8211;931. Price, C.P., Spencer, K.,and Whicher,J.1983. Light-scattering immunoassay of specific protiens: areview.Ann Clin Biochem; 20:1-14. Qian,Y., Zheng,Y.,Ramos,K.S., Tiffany-Castiglioni, E.2005. The involvement of copper transporter in lead-induced oxidative stress in astroglia.NeurochemRes.30:429&#8211;438. Raviraja, A., Babu,G.N.,Bijoor,A.R.,Menezes, G., and Venkatesh,T.2008. Lead toxicity in a family as a result of occupational exposure. Arh. Hig. Rada Toksikol .,59(2):127-133. Rock,R.C.,Walker,W.G.,Jennings,C.D.1987.Nitrogen metabolites and renal function. In: Tietz NW. Fundementals of clinical chemistry 3 rd Ed: 669-704. Philadelphia: WB Saunders. Rosen,H.R.2001. Liver disease in non-liver transplant patients. In Primer on Transplantation, Eds., Norman, D.J. and L.A. Turka, 2nd edition, American Society of Transplantation, Mt LaurelNJ,pp:231. Rukkumani,R., Balasubashini, S., and Menon, V.P.2003. Protective effects of curcumin and photoirradiated curcumin on circulatory lipids and lipid peroxidation products in alcohol and polyunsaturated fatty acid induced toxicity. Phytother.Res.,17:925&#8211;92. SAS (1996). Statistical analysis system. User guide statistics,SAS Institute Cary,North Carolina. Schmidt-Gay,K.H., Blind,E., and Rot,H.J.1997.Calcium regulation hormones and markers of bone metabolism: measurment and interpretation,2 Auflage. Heidelberg(ed) .Clin. Lab.Publ. Shalan, M.G., Mostafa, M.S.,Hassouna, M.M.,Hassab El-Nabi, S.E., and El-Refaie, A.2005. Amelioration of lead toxicity on rat liver with vitamin C and silymarin supplements. Toxicol. 206(1):1-15. Singh, B., Dhwan, D., Nehru, B., Garg, M.L., Mangal, P.C.,Chand, B., Trhan, P.N.1994.Impact of lead pollution on the status of other trace metals in blood and alterations in hepatic functions. Biological Trace Element Research , Volume40,Issue1,pp21-29. Sollivaj, B.1996. Effect of exposure to lead on selected biochemical and haematological variables, Pharmacol. Toxicol, 78,18-22. Telisman, S.1995. Interactions of essential and/or toxic metals and metalloids regarding inter individual differences in susceptibility to various toxicants and chronic diseases in man. Arh Hig.RadaToksikol46:459-476. Undeger ,U., Basaran,N.,Canpinar,H., Kansu, E.1996. Immune alterations in lead-exposed workers. Toxicology 109:167&#8211;172. Victery W; Nile ES; Jonathon SW and Vander JA (1981). Acute effects of lead on the renal handling of zinc in dogs. Toxicology and Applied Pharmacology,61:358-367. Vij, A.G.2009. Hemopoietic, hemostatic and mutagenic effects of lead and possible prevention by zinc and vitamin C. Al Ameen J MedSci.2:27&#8211;36. Walid, S.M.1997. Studies on the effect of some heavy metals on reproductive and productive performance of rabbits. Ph.D. Thesis, Faculty of Veterinary Medicine, Cairo University. Wasowicz, W., Gromadzi&#324;ska, J., Rydzy&#324;ski, K.2001. Blood concentration of essential trace elements and heavy metals in workers exposed to lead and cadmium. Int J Occup Med Environ Health.14:223&#8211;229. Young, D.S.1990. Effect of drugs on clinical laboratory tests. Nabil M Taha, Mahdy S. Korshom, abd El-Wahab M Mandour, Mohamed A Lebdah, Eman S aladham. Effect of Lead Toxicity on Mineral Metabolism and Immunological Factors in Rats. AJVS. 2013; 39(1): 64-73. Nabil M Taha, Mahdy S. Korshom, abd El-Wahab M Mandour, Mohamed A Lebdah, Eman S aladham. Effect of Lead Toxicity on Mineral Metabolism and Immunological Factors in Rats. http://www.alexjvs.com/?mno=42429 [Access: April 20, 2019]. Nabil M Taha, Mahdy S. Korshom, abd El-Wahab M Mandour, Mohamed A Lebdah, Eman S aladham. Effect of Lead Toxicity on Mineral Metabolism and Immunological Factors in Rats. AJVS. (2013), [cited April 20, 2019]; 39(1): 64-73. Nabil M Taha, Mahdy S. Korshom, abd El-Wahab M Mandour, Mohamed A Lebdah, Eman S aladham (2013) Effect of Lead Toxicity on Mineral Metabolism and Immunological Factors in Rats. AJVS, 39 (1), 64-73. Nabil M Taha, Mahdy S. Korshom, abd El-Wahab M Mandour, Mohamed A Lebdah, Eman S aladham. 2013. Effect of Lead Toxicity on Mineral Metabolism and Immunological Factors in Rats. Alexandria Journal of Veterinary Sciences, 39 (1), 64-73. Nabil M Taha, Mahdy S. Korshom, abd El-Wahab M Mandour, Mohamed A Lebdah, Eman S aladham. "Effect of Lead Toxicity on Mineral Metabolism and Immunological Factors in Rats." Alexandria Journal of Veterinary Sciences 39 (2013), 64-73. Nabil M Taha, Mahdy S. Korshom, abd El-Wahab M Mandour, Mohamed A Lebdah, Eman S aladham. "Effect of Lead Toxicity on Mineral Metabolism and Immunological Factors in Rats." 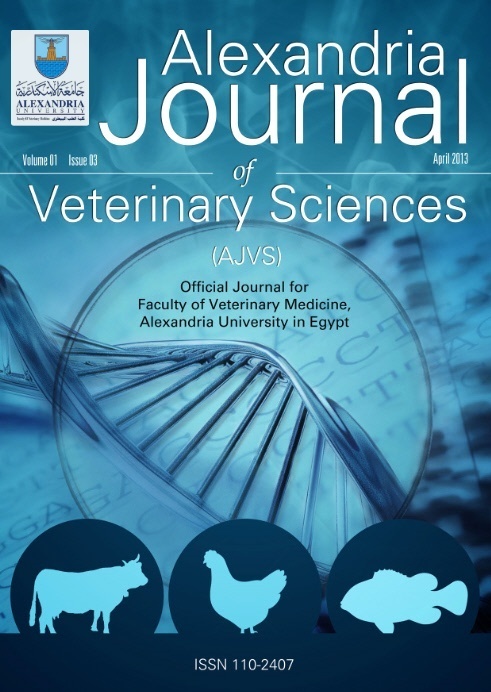 Alexandria Journal of Veterinary Sciences 39.1 (2013), 64-73. Print. Nabil M Taha, Mahdy S. Korshom, abd El-Wahab M Mandour, Mohamed A Lebdah, Eman S aladham (2013) Effect of Lead Toxicity on Mineral Metabolism and Immunological Factors in Rats. Alexandria Journal of Veterinary Sciences, 39 (1), 64-73.